Omaha third baseman Kelvin Gutierrez crushed his second home run of the season in an 8-2 loss in game one, however, first baseman Cheslor Cuthbert drove in two runs and second baseman Nicky Lopez collected two hits to support starter Ben Lively in the nightcap as the Storm Chasers split their doubleheader with the New Orleans Baby Cakes on Saturday afternoon at Werner Park. Gutierrez's longball in the day's opener gave him a hit in his ninth straight contest to begin the season. He failed to record a knock in the nightcap to snap his streak, however he did reach base via a walk. Baby Cakes LF Isaac Galloway and RF Gabriel Guerrero each tallied three hits in game one, with 1B Yadiel Rivera and 3B Deven Marrero both driving in two runs each in the victory. New Orleans starter Hector Noesi (5.0 IP, 3 H, 0 R, 3 BB, 5 K) earned the win in Saturday's first contest, while Omaha southpaw Foster Griffin (5.0 IP, 4 H, 2 R, 2 ER, BB, 4 K) suffered the defeat. 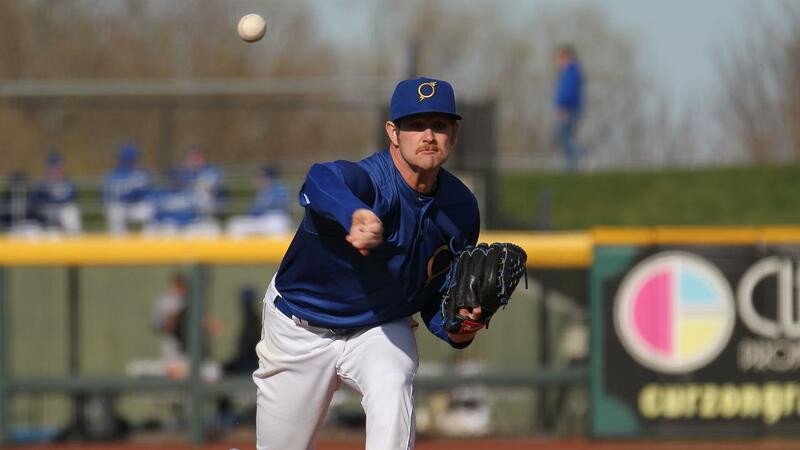 It's was Lively's (5.0 IP, 2 H, R, ER, BB, 4 K) turn to spin five shutout frames in the nightcap, earning his first win of the year with the Storm Chasers, while lefty reliever Tim Hill (0.1 IP) notched his first save. Baby Cakes starter Nick Neidert (4.1 IP, 4 H,4 R, 3 ER, 3 BB, 3 K) suffered the defeat. Cuthbert got Omaha on the board with a two-run single to right in the first frame of game two. Lopez added an RBI single to left in the fourth, prior to the Storm Chasers taking advantage of a New Orleans miscue for their final and, what turned out to be crucial, tally. Lopez was the lone Storm Chasers hitter to collect a multi-hit effort in game two after Gutierrez recorded two knocks in Saturday's opener. Omaha and New Orleans are set to face off in another matinee on Sunday, with first pitch scheduled for 2:05pm CT. The Storm Chasers are expected to give the nod to RHP Scott Blewett (1-0, 1.80), while the Baby Cakes are anticipated to send RHP Joe Gunkel (0-0, 3.00) to the hill.